More than 161,000 men will hear the words “you have prostate cancer” this year. Many of those men are fathers, with sons and daughters who love them. This June, celebrate Father’s Day and Men’s Health Month with ZERO. It’s 30 Days For Dad! There are plenty of ways to get involved, including sending dad a special e-card, donating to help make an impact, or creating your own Do It Yourself fundraiser. 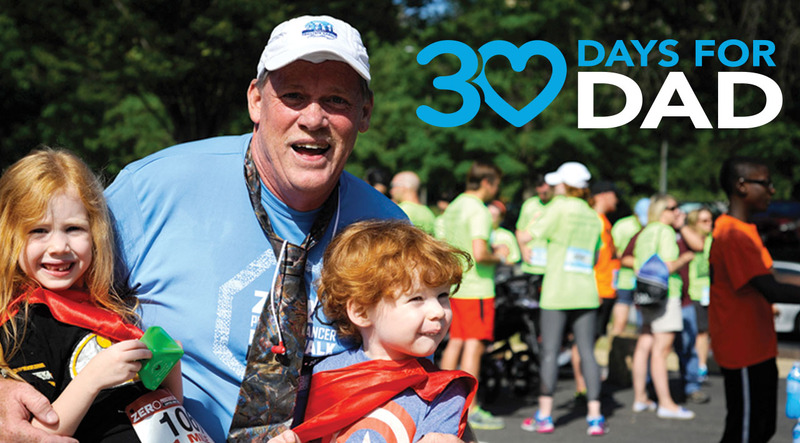 Don’t forget to share your story with us on social media using #DoItforDad. 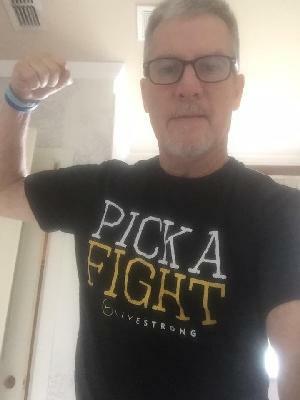 Make your voice heard by sharing images of hope, passion, and the courage of the fathers battling prostate cancer. 30 Days for Dad is for YOU. Learn how you can join us this month. 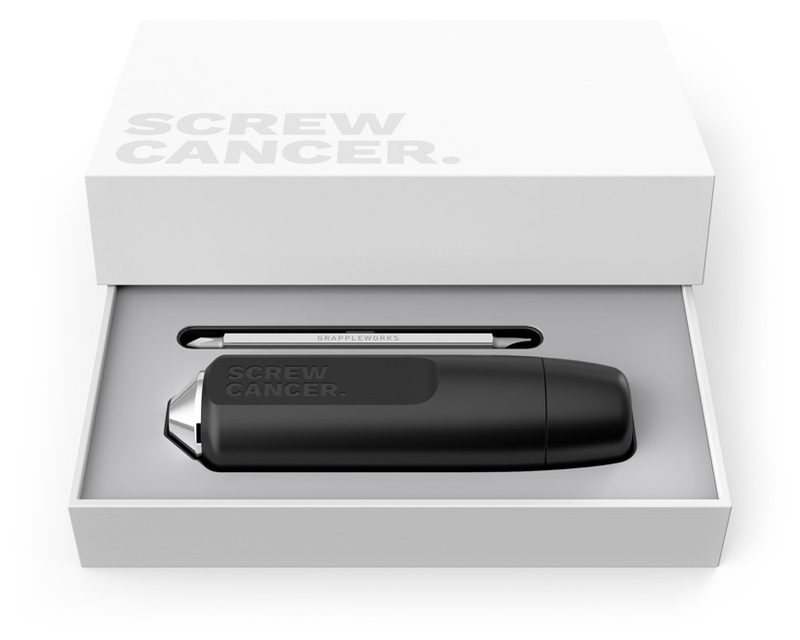 This year, give Dad the tool that will help make a difference in the lives of those affected by prostate cancer. 40% of your purchase will benefit ZERO. This exclusive offer expires this Sunday, June 11th 9:00 p.m. EST. 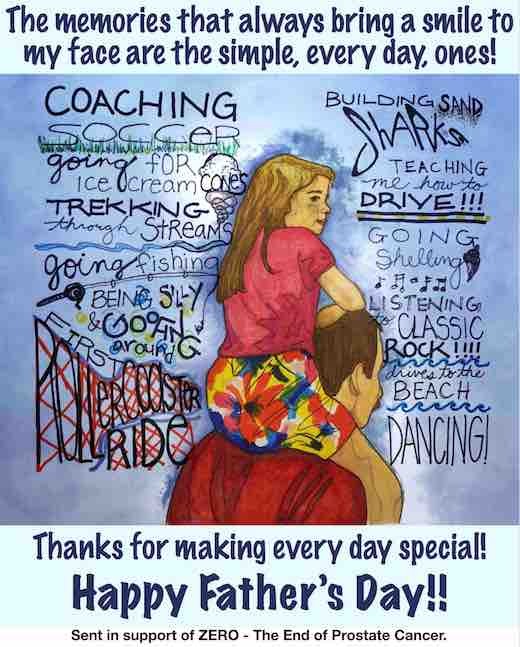 This year’s featured Father’s Day e-card was designed by Meghan Nikituk, a dedicated ZERO advocate, who lost her father to the disease one decade ago. Meghan, her sister Tara, and their mother Cheryl are long-time ZERO champions who are celebrating their 10th anniversary attending the Capital Area ZERO Run/Walk this year. Send your Dad this special e-card, or choose from a gallery of other cards to show him how much you care. At the time of their prostate cancer diagnosis, 80 percent of patients said that they needed more help than they received from their doctor. Our new patient support program, ZERO360, aims to fill that gap. Recently, our case managers assisted a 56-year-old Stage IV prostate cancer patient who’d lost his job shortly after diagnosis. Read more about how they helped him get back on his feet. ZERO has partnered with several patient advocacy organizations to more fully understand and represent the patient’s experience with prostate cancer and its related care, costs, and issues. Your voice is critical and will help improve the outlook for research, care and survivorship of all prostate cancer patients! This survey is intended to capture the experiences and challenges you have encountered so that we can express those to decision-makers and the medical community. Take the survey here. 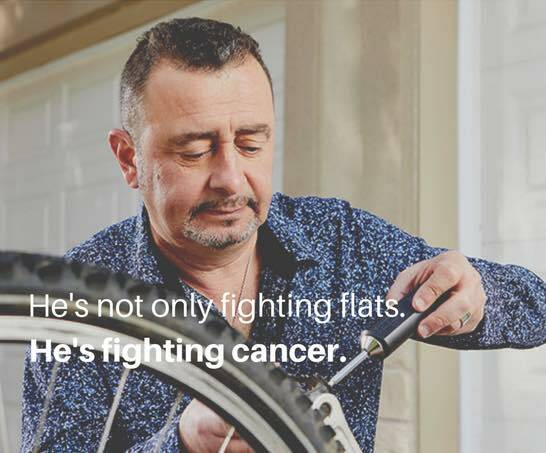 Jerry knew prostate cancer could be in his future, and after years of testing, he was diagnosed at 48. But Jerry is not battling alone. Nine years later, Jerry and his Run/Walk team – the Woolverton Warriors – have raised nearly $16K to help find a cure for the disease. 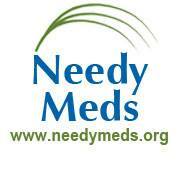 Join our friends at NeedyMeds for a Special Topic Webinar, featuring our very own Cienna Breen! “Creating Generation ZERO: Resources for Prostate Cancer Patients and Survivors” will discuss what ZERO is doing to support, educate, and activate advocates across the country as well as discuss what resources are available for patients and survivors. 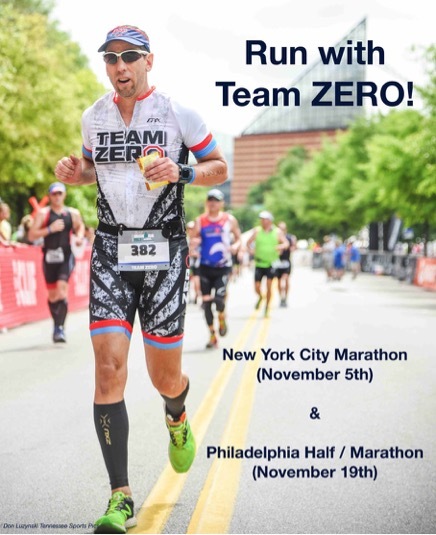 Add meaning to your miles with Team ZERO. We’re hitting the pavement at the New York City Marathon and Philadelphia Marathon this November. New trial results reveal that adding Johnson & Johnson’s Zytiga to standard hormone therapy reduced by nearly 40 percent the chance of death for men newly diagnosed with aggressive metastatic disease before their disease becomes castration-resistant. This discovery is “likely to change clinical practice overnight.” Learn more. 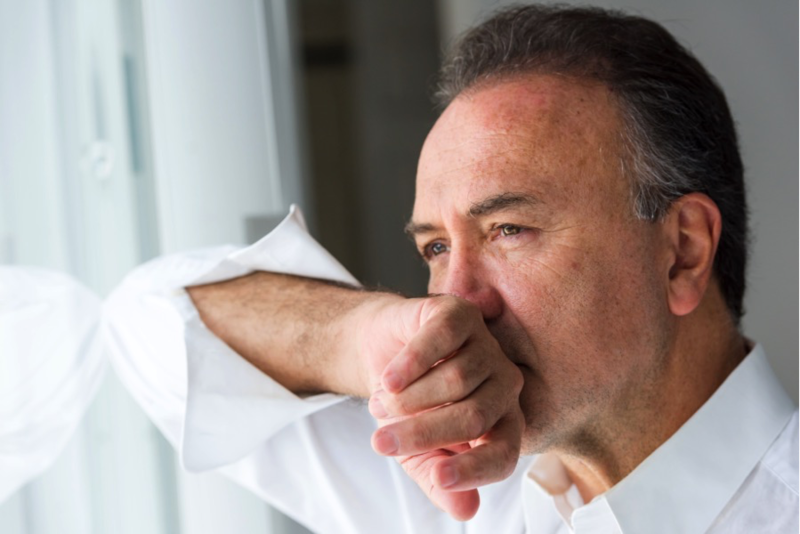 Many men suffer in silence from the side effects of a prostate cancer diagnosis. To bring this conversation to the forefront, we’ve partnered with a leading urological medical device company, Urology Health Store, to promote sexual and urinary health for prostate cancer patients and survivors. Urology Health Store will offer a 10 percent discount at checkout and free US shipping ($50 or more) with the special promotional code: ZERO. Learn more.